Chad Trahan, of Dallas, Texas, was recently named as the new Vice President of Clinical Services at LifeShare Transplant Donor Services of Oklahoma. ​​In this role, Trahan is responsible for strategic management of the Organ and Tissue Recovery Services. This role includes the responsibilities of organizational policy, procedure, protocol application, training and administrative duties. In addition, this role will oversee recruitment, development and retention of Organ and Tissue recovery staff. ​Trahan has more than 17 years of experience in clinical and surgical fields with a large focus on leadership. 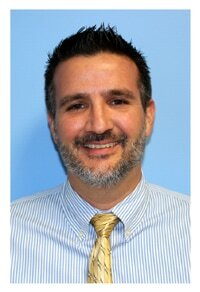 Prior to coming to LifeShare, he was employed by Southwest Transplant Alliance as the Director of Clinical Services. Trahan earned a Bachelor of Science in Nursing from the University of Texas at Arlington and a Master of Business in Business Analytics from the University of Texas at Dallas. He is a Certified Procurement Transplant Coordinator, Certified Tissue Banking Specialist, certified in Basic Life Support and also certified in Advanced Cardiovascular Life Support.